SALE OFFER $64990 |SUNROOF, COMFORT ACCESS, 19" ALLOYS, NAVIGATION, HEAD UP DISPLAY, SUNROOF, DAB RADIO, BLIND SPOT MONITORS, SURROUND VIEW, and MORE! Just arrived and like new this 2018 BMW 430i Grand Coupe has it all. Finished in Carbon Black Metallic and complimented with Black Leather, this vehicle is priced to sell! 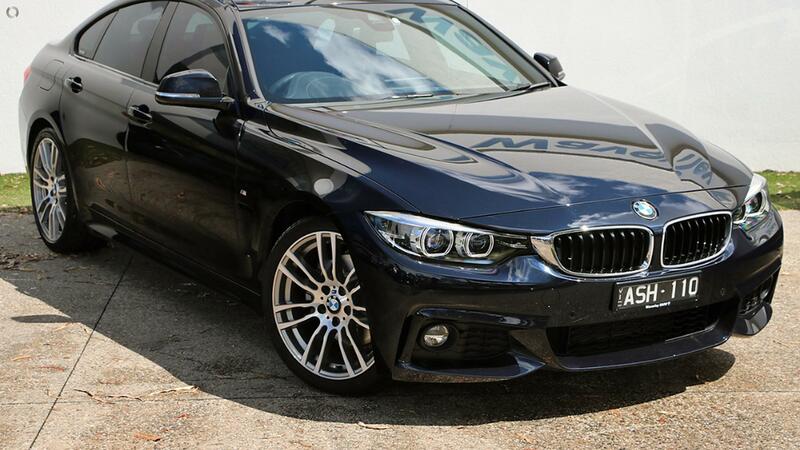 Don't miss this unique opportunity to buy BMW Approved.